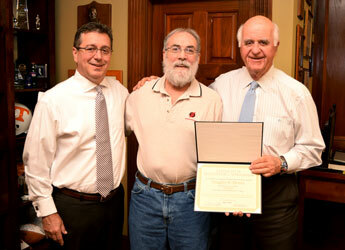 Congratulations to Greg Fleenor (Machinist A-Bristol) as he recently retired from Strongwell after 20 years of service. He was a machinist focused on building and refurbishing Strongwell’s pultrusion machine components. To this day, he says it still amazes him all the technology and advancements within composites. His plans for retirement include visiting his extended family more and continuing his workout regimen.